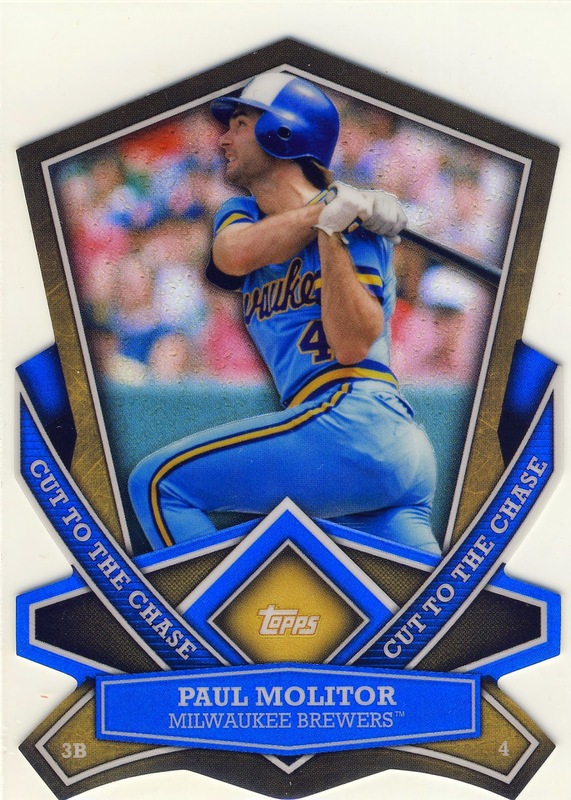 Brewers and Twins [and I guess for the sake of accuracy Blue Jays] great Paul Molitor was recently announced as the Twins third manager since 1986. This makes Paul's manager card one of the most sought after for 2015. 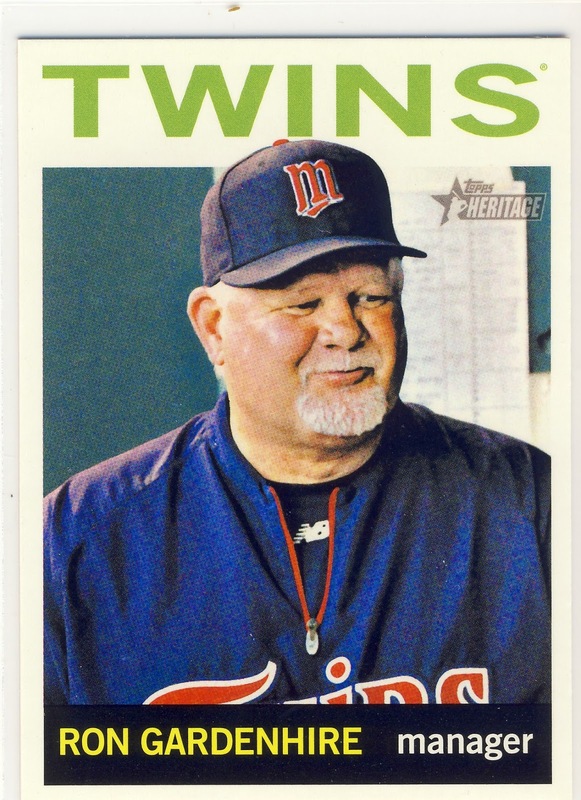 Although he ran into tough times in recent seasons Ron Gardenhire let six teams to Division titles with little to no financial support from management. And when the Twins went big on contracts they put a stranglehold on the remaining team. 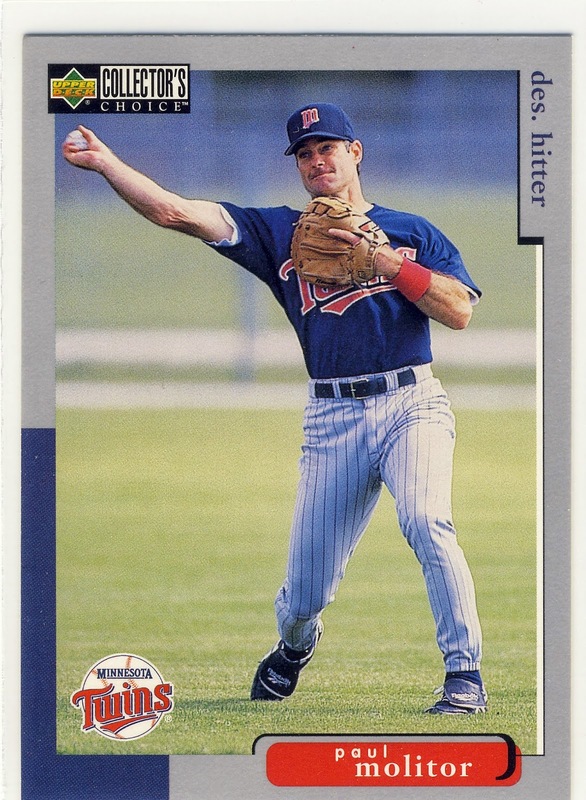 Here's to hoping that Molitor can manage the Twins for another decade and a half. 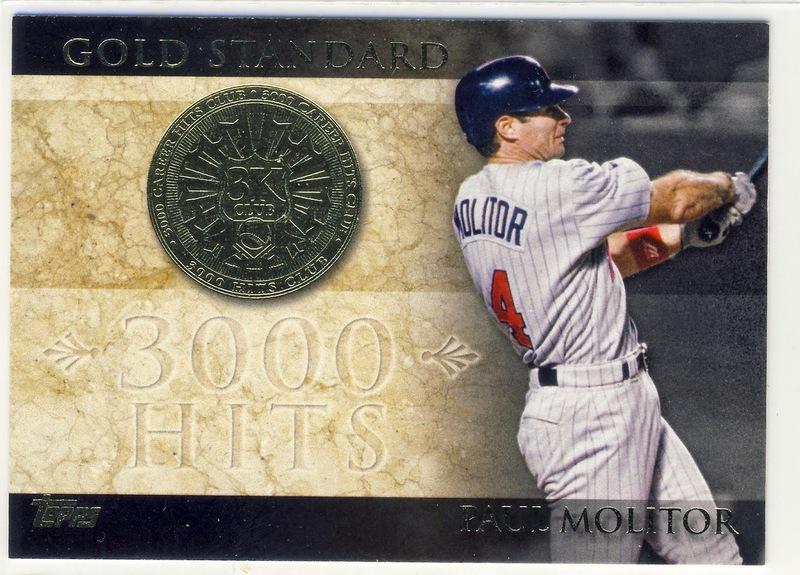 Here's one more giant gold foil Molitor's that I recently received in a trade with Rob from Texas Rangers Cards.